Traveling “green” and clean should be a goal whether you’re near home or far away. If you haven’t given the concept of sustainable travel much thought, here are some tips to help you get started conserving resources. 1. 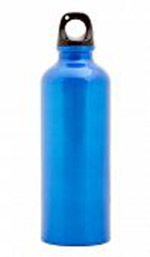 Take your own refillable water bottle. It might be aluminum or hard plastic, but either is better than using disposable plastic bottles which are so flimsy nowadays that they’ve become one-use bottles. 2. If you go snorkeling or diving in the ocean, be aware that some chemical sunscreens might damage coral reefs, so choose your protection with reef safety in mind. 3. Look for a farmers’ market to buy local food items. The food is fresher, and you’ll get to meet the people who have grown it. 4. Reuse towels in your bathroom and request that sheets not be changed every day if that’s the hotel’s policy. 5. 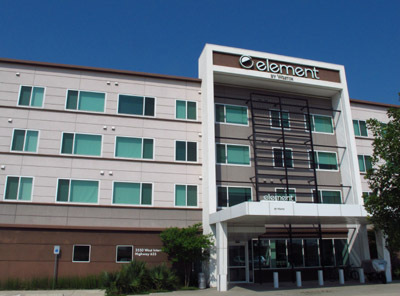 Stay at “green” certified hotels such as the Element brand of Starwood. Look for hotels that used recycled materials and energy-wise materials during construction. 6. Turn off lights and air conditioner when you leave. Think about the European system in which your room key must be inserted in the appropriate slot for electric power, and electricity stops when it is removed as you leave the room. 7. Take newspapers back to the lobby for another person to read. 8. If you need to rent a car, choose a hybrid. Some hotels have special parking spots for hybrids or electric cars. 9. Walk or ride a bicycle when possible as you tour the area. Or take public transportation. 10. Stash your trash (and pack it out) when hiking. As the saying goes, “Leave only footprints." 11. Don’t feed or tease wild animals or encourage people who might want them as pets. 12. Skip items made from wildlife when buying souvenirs. If the species is endangered, the item might be the result of illegal poaching. And you might have to pay a fine.